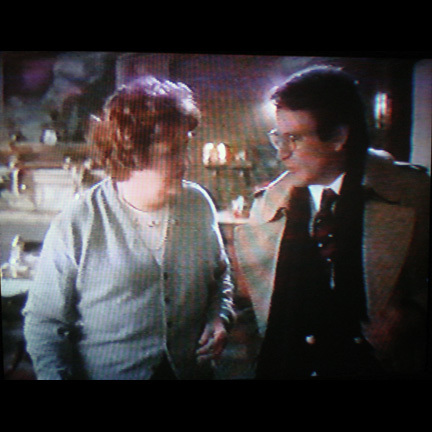 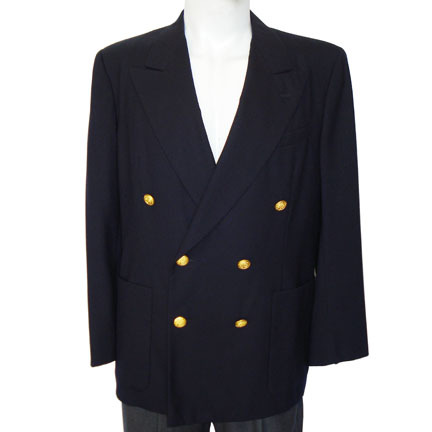 This navy double-breasted jacket with gold buttons and grey slacks were worn by the character "Peter Banning" (the adult Peter Pan) portrayed by actor Robin Williams in the 1991 film "Hook", Steven Spielberg's sequel to J.M. 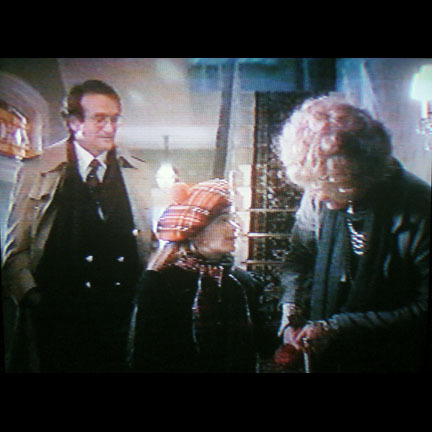 Barrie's classic Peter Pan tale, starring Dustin Hoffman, Julia Roberts, Bob Hoskins and Maggie Smith. 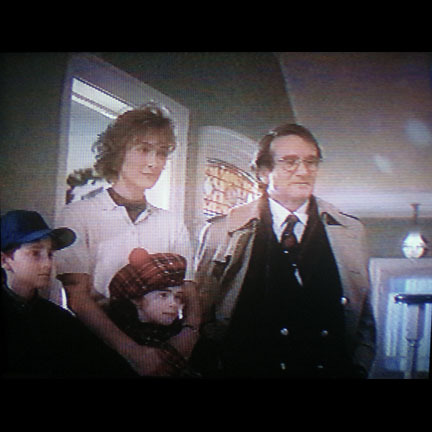 The film was nominated for five Academy Awards in 1992 for Best Art Direction, Best Costume Design, Best Visual Effects, Best Makeup and Best Original Song. 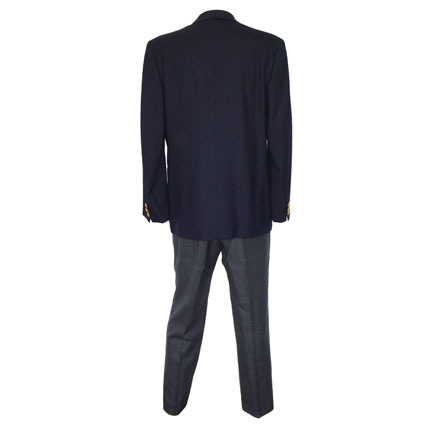 The story follows the adult Peter who has forgotten his childhood, and who has turned into a ruthless businessman at the expense of his family life. 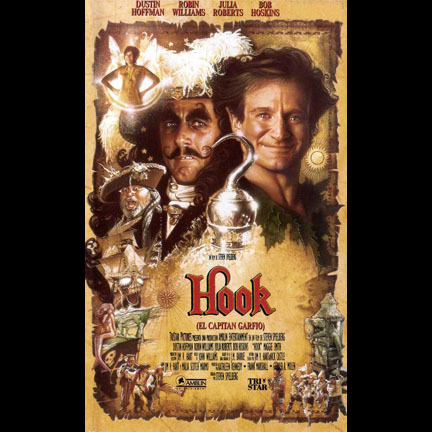 When he travels to London to visit Wendy (Maggie Smith), who fostered him, his children are kidnapped by Captain Hook (Dustin Hoffman), and he is forced remember his past in order to save their lives. 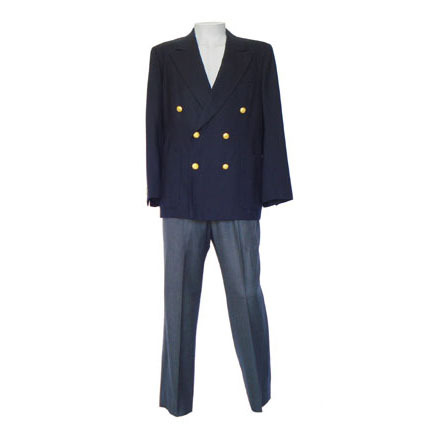 This outfit is worn when the family flies to London, highlighting the irony of how different the adult Peter is from his childhood self due to his extreme fear of flying. 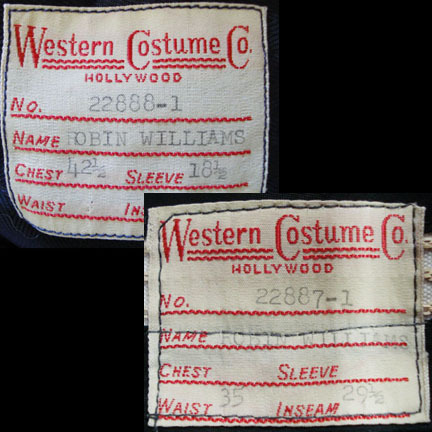 Both jacket and pants have the original Western Costume Company labels with Robin Williams' name clearly printed, are in excellent screen worn condition, and come with a certificate of authenticity from the costume house.